Every time you and your kids cast a fishing line into the water from a pier or off a boat, or simply drop down a wiggly worm whilst standing in the marshy wet grasses at the edge of your local stream, you are helping to ensure the future of America’s waterways and aquatic resources. 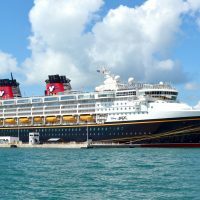 This is the very noble goal of the Recreational Boating and Fishing Foundation (the people behind the popular “Take Me Fishing” campaign) in the farthest reaches of Alaska, all the way down at Walt Disney World, and everywhere in between. TakeMeFishing.org (and VamosAPescar.org) have countless resources aimed at helping families have easy, fun and successful days on the water. Doing exactly that from the most Magical Place on Earth is now even easier than baiting a hook! And if you think about it, is there a better, more picturesque and memorable spot in America for a child to experience the quiet anticipation of catching their first (or 50th) fish than Disney World? 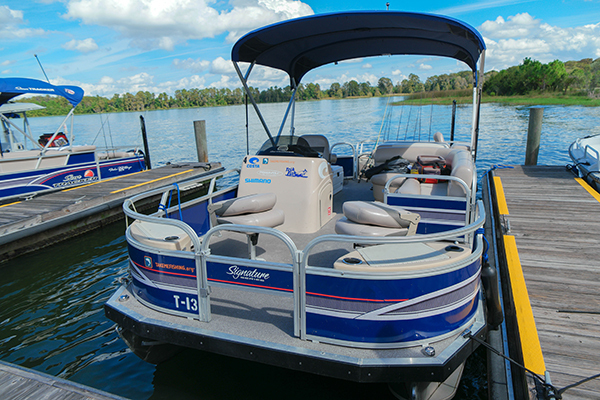 There’s no shortage of memory-making family activities on offer in Orlando, but fishing (and boating excursions at Disney) is one you may not have known exists! There are guided catch and release outings departing from 10 different Disney World Resort Hotels, meaning you and your kids can launch into a fun search for large mouth bass in the lakes out in front of Cinderella’s famous castle and Space Mountain from nearly everywhere at Disney! Rates are $270 for a two-hour excursion for up to five people. All equipment, rods, reels, bait and lures are included, as are sodas and bottled water. And your odds of catching fish are very good! Your captain and fishing guide is capable of teaching you and your kids how to cast and reel in your catch once hooked, and if you’d like (yes, please! ), he or she will also handle all of the ‘messy’ business — baiting your hooks with little shiners and removing the fish after you reel ’em to the boat. Of course, you should take at least one posed picture with your first catch, remembering to hold the fish far away from you to make your catch look bigger in the photo than it actually is — after all, exaggerating the size of your catch is a fishing tradition! 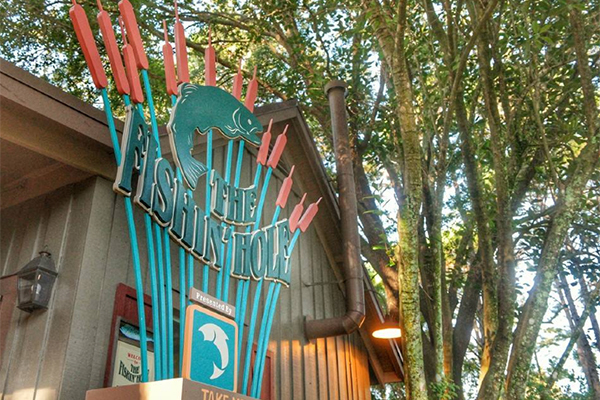 If you struggle with boats and motion sickness or would simply enjoy a more stable (and inexpensive) family fishing experience during your Disney vacation, head to Port Orleans – Riverside in the morning for a Tom Sawyer-esque dockside fishing adventure. For just $16, you’ll get 4 to 6 cane poles, bait (worms and/or hot dog pieces) and 30 minutes to drop your line in to try and pull out a fish. 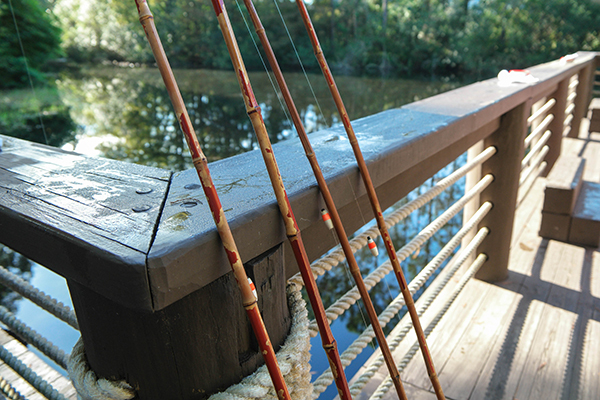 Using Huck Finn-style cane poles, families visiting Disney World can enjoy the old-fashioned serenity of fishing amid the hustle and bustle of the Magic Kingdom.